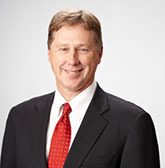 John C. Vollmer is Group President, Management Services of AECOM (NYSE:ACM), a premier, fully integrated infrastructure firm that designs, builds, finances and operates assets for governments, businesses and organizations in more than 150 countries. In this role, Mr. Vollmer leads AECOM’s Management Services group, which provides a broad array of technical and management services to the U.S. federal government, as well as national governments around the world. His responsibilities include the planning, organizing and controlling the operating activities of over 17,000 employees in 70 countries. In addition to leadership of AECOM Management Services’ operating units, he is responsible for strategy and business growth, emerging technology and offerings development. Mr. Vollmer joined AECOM from URS Corporation, where he was most recently the Executive Vice President of Operations for URS Federal Services, an engineering and technical services provider with over $2B in revenues and 12,000 employees. He was responsible for the delivery of high-quality science, engineering, and analytical services, critical infrastructure and facility management, base and range operations and cyber and IT solutions to the Department of Defense (DoD), National Aeronautics and Space Administration (NASA), and other Federal agencies. Mr. Vollmer has more than 35 years of experience working with military and other Federal agency markets providing Information Technology (IT), communications, and command and control solutions worldwide. This experience includes executive leadership and profit and loss responsibility for multiple business units, as well as strategic and market leadership for operations, customer satisfaction, and business growth. Mr. Vollmer received a Bachelor of Arts Degree in Business from Flagler College, St. Augustine, Florida, in 1979, and continued MBA studies at Northeastern University as part of EG&G’s Corporate Executive Management Program, Program 2000. AECOM is built to deliver a better world, connecting knowledge and experience across a global network of experts to help clients solve their most complex challenges—from high-performance buildings and infrastructure, to resilient communities and environments, to stable and secure nations. A Fortune 500 firm, AECOM and its companies have annual revenue of approximately US$20.2 billion. Learn more at aecom.com and @AECOM.